Sailor Ecommerce | Ideasailor Technologies Pvt Ltd.
Take your business to the customer’s door with Sailor Ecommerce Solution. We create your marketplace with specialized team of eCommerce portal development and design and help you with choice of multiple commerce platforms and deployments to get best eCommerce solutions with required high level of security and neatness. 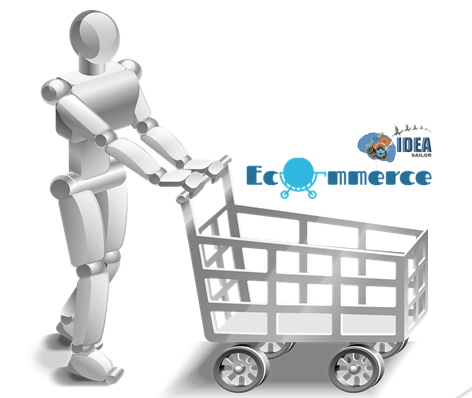 Experience you high level of eCommerce development solution with our range of innovative solutions and advanced features. Get Your Ecommerce Portal designed with user friendly UI for all level of Customer. Integrate with Advanced Shopping Cart. Don’t settle with conventional features of shopping cart, integrated with advanced cart. Managed your customer Database real-time with as much as maximum accuracy. Powerful Search Features to navigate on any product with one click.